According to a recent Healthy Ireland survey, over 850,000 Irish adults over the age of 40 are at increased risk of developing (or have) Type 2 Diabetes. A further 300,000 in the 30-39 year age group are overweight and not taking the weekly 150 minutes of recommended physical activity, leaving them at an increased risk of chronic ill-health. This means that there are over 1.1 million adults in Ireland who need to urgently consider making changes to their daily behaviours in terms of eating healthily and being more active. 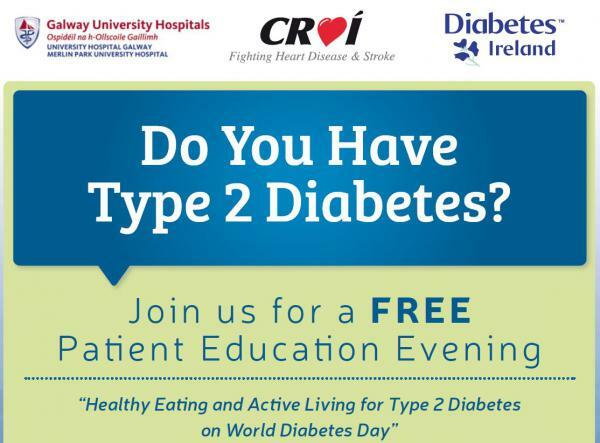 The Diabetes Team at Galway University Hospital in association with Croí and Diabetes Ireland are hosting a FREE ‘One Stop Information Evening’ on Type 2 Diabetes in the Croí Heart & Stroke Centre, Galway on Monday November 14th from 6.30pm to 9pm. All speakers will participate in a panel discussion at the end of the evening where they will answer questions from the audience in attendance. The Eugene Halion Memorial Cup took place recently, the event is run annually in memory of the former Tuam Stars, Tuam Celtic and Galway United Star who passed away suddenly in 2012. Front Row (L to R) Seamus Hynes, Caoimhe Halion and Eoin Halion. Maintaining a healthy lifestyle and exercising regularly plays a major role in the prevention and management of cardiovascular disease with a 30-50% CVD risk reduction noted with the uptake of physical activity. As 90% of all cardiovascular disease is preventable it is important we are engaging in a healthy lifestyle and this must include increasing our physical activity and exercise levels moving away from sedentary behaviour and inactivity. People often lack confidence when it comes to starting a new exercise routine but it is important to remember you can start an exercise programme easily, at your own pace and with minimal support if you follow a few simple tips for success. The joy and freedom of some physical activity and exercise programmes means that they can be completed in many different settings, even in the comfort of your own home with minimal equipment required; all you need is a little motivation and direction. Being physically active helps prevents and controls a multitude of health problems, including heart disease, stroke, diabetes and obesity. Regular participation in physical activity and aerobic exercise can improve exercise capacity, cardiovascular fitness, help lower your blood pressure, lower your heart rate and improve your overall quality of life. It can also improve your energy levels and may help to relieve any stress or low mood that you might be feeling. 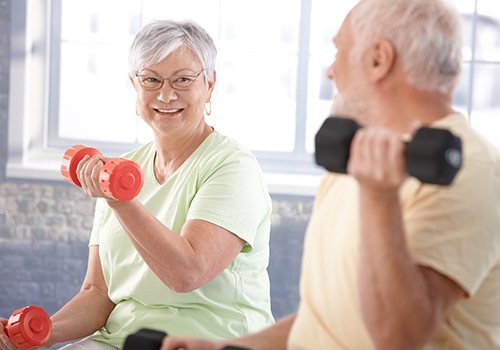 What are the goals for exercising over 55? Frequency: Try to engage in aerobic exercise 3-4 days a week. Intensity: Take it easy at the beginning and gradually increase what you are doing. As long as you are at a moderate intensity where you can speak while you’re exercising you’re managing the intensity of the activity correctly. Remember to warm up before and cool down after any activity and if you experience chest pain, dizziness or nausea you should stop exercising immediately. If these symptoms continue, contact your doctor. Time: Your exercise should start gradually; this may be 5-10 min bouts. Your aim as you improve is to exercise for approximately 20-30mins. Type: Aerobic exercise includes walking, swimming, cycling, jogging, running, rowing etc. Friday October 14th saw 1,200 runners, joggers and walkers of all ages and abilities run the 2nd Annual Croi Galway Night Run. Cold damp conditions did not stop our heart heroes from coming out onto Salthill Promenade and taking part. “We were overwhelmed with the turnout on the night and the support leading up to the event. It is one of our biggest fundraisers in the year and the support is heart-warming. 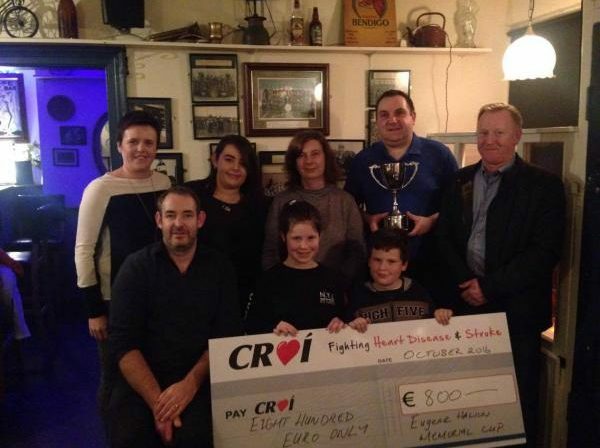 100% of the proceeds to Croi and this helps us in the fight against heart disease and stroke in the West of Ireland. All abilities, all ages some recovering from stroke, heart attack and getting back into fitness others took part in memory of a loved one. It is a very special event, an emotional one.” Edwina Treacy, Fundraising Manager Croi. Sincere thanks to all who took part, our sponsor Evergreen Healthfoods, Salthill community, Salthill Garda, Bloodbike West, Irish Red Cross and our volunteers and bike marshals whom we could not be without. For more pictures of the night please visit our Facebook Page. Over 7,000 people are hospitalised each year in Ireland with stroke, most of whom leave hospital with some physical or cognitive deficit. When a family member suffers a stroke, the impact is not just on the individual but on the whole family – in many cases, their family life changes forever. This can be very traumatic for both the stroke survivor and their family members. Local Heart & Stroke Charity Croi are organising an informal meeting for people who are living with someone who has had a stroke or mini stroke on Thursday November 3rd from 7-9pm in the Croi Heart & Stroke Centre, Newcastle, Galway. Accepting that a family member has had a stroke and learning to live a new life caring for your loved one can be demanding but can also be very rewarding. The purpose of this meeting is to provide carers and loved ones with an opportunity to share their experiences in a comfortable environment. Meeting others in similar situations can help to overcome the common challenges that many experience and can also be a very beneficial support for the carers own health and well-being. This FREE evening will be facilitated by Croi Specialist Nurse Therese Manton and Libby Kinneen, Speech and Language Therapist. Further details are available by calling Maria on 091-544310. The ‘Courtyard Apartments‘ at Croí House have been specifically designed for short-term stays, to allow family members to be as close as possible to patients who are in hospital for cardiac or stroke care in University Hospital Galway. To date, we have helped over 180 families, some have stayed twice in the one year. Apartments are open 365 days a year and have a 99% occupancy. Families from Donegal, Mayo, Sligo, Roscommon, Clare, Kildare, Dublin, Leitrim, Galway, Limerick, Belfast, USA, UK, Spain stay with us. The ‘Courtyard Apartments’ consists of three self-contained ground floor accommodation units, located just a ten-minute walk from University Hospital Galway. 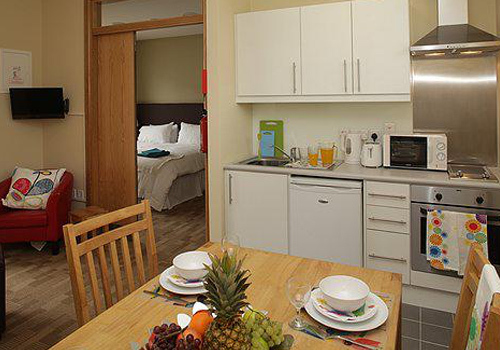 These apartments are funded entirely by donations and events organised by Croi such as Croi Galway Night Run. Here is what some of the families who have occupied the apartments, in 2016, have said. These apartments are funded by donations and fundraising events such as the Croi Galway Night Run, and other third party events that take place in aid of Croi. We could not provide these facilities to families without the generosity of the people of Galway, the west and the greater island of Ireland. Register now for Croi Galway Night Run here. Click here for more information on our Courtyard Apartments. Croí welcomes new obesity policy and action plan. 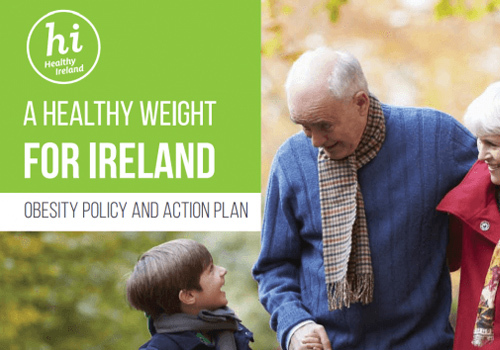 Last week the government launched the Healthy Weight for Ireland – Obesity Policy and Action plan 2016 – 2025 which aims to tackle the country’s growing obesity epidemic. The levels of overweight and obesity have doubled in the last two decades and now the majority of the Irish population are overweight or obese (60% of adults and 1 in 4 children), which highlights that obesity is fast becoming a significant threat to our nation’s health. Overweight and obesity are major risk factors for many diseases such as type 2 diabetes, heart disease and certain cancers. The policy recognises the solutions are multiple and complex therefore outlines ‘Ten Steps Forward’ which includes 60 actions to help reverse the growing obesity trend, reduce health complications and reduce the overall burden of overweight and obesity in Ireland. "Croí greatly welcomes this report, as it is a positive step forward in tackling obesity a major health issue for the Irish population. However, investing in its implementation will be critical in achieving the ambitious actions that it sets out to achieve by 2025" Said Irene Gibson, Director of Programmes & Prevention Nurse Specialist at Croi. The full report 'A Healthy Weight for Ireland, Obesity Policy & Action Plan' can be read here. Posted in Health BlogLeave a Comment on Croí welcomes new obesity policy and action plan. 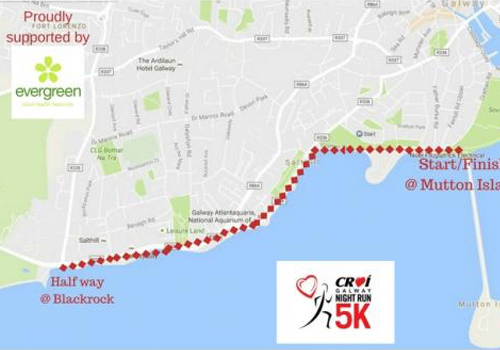 This year’s event will take place on Friday October 14th on the Salthill Promenade at 8pm and is open to walkers, joggers and runners of all abilities. 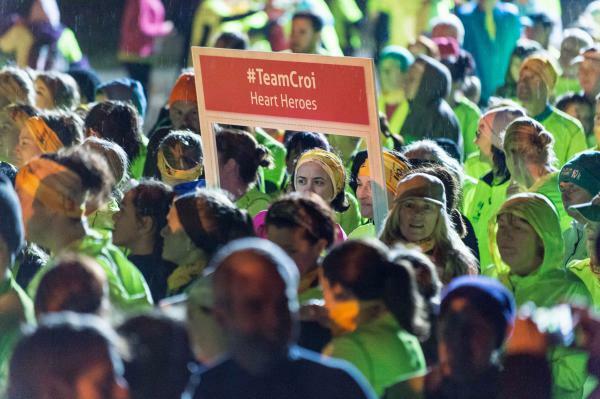 Last year’s Croi Galway Night Run was a phenomenal success attracting over 1,200 participants and this year’s event is set to attract even bigger numbers. FREE Public Talk on Recovering from and Living with Stroke. October is World Stroke Month and on Thursday October 20th, local heart & stroke charity Croi in collaboration with the specialist stroke team at Galway University Hospital are hosting a FREE Public Talk on ‘Recovering from and Living with Stroke’. This event will take place in the Croi Heart & Stroke Centre, Newcastle, Galway from 7pm-8.30pm and will be of particular interest to stroke survivors, their families and carers. This evening is an excellent opportunity to meet expert health care professionals working in stroke care and to meet other individuals and families affected by stroke. Stroke is Irelands biggest killer after cancer and heart disease, resulting in 2,000 deaths and 7,000 hospitalisations per annum. 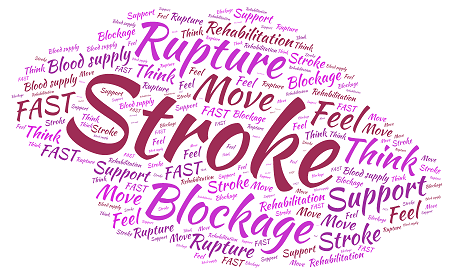 Stroke affects everyone: survivors, family and friends, workplaces and communities. However many strokes are both preventable and treatable. Recognising the signs and symptoms early and responding as a medical emergency with admission to a specialised stroke unit can substantially improve outcomes. Posted in NewsLeave a Comment on FREE Public Talk on Recovering from and Living with Stroke. This year’s event will take place on Friday October 13th on the Salthill Promenade at 8pm and is open to walkers, joggers and runners of all abilities. Please note we advise that all participants arrive early to allow time to park and gather for the event start. Note: please keep your chip number on display at all times, it needs to be visable when crossing the start and finish line. 1. What times(s) will registration/ number pickup be held? 9 am to 8 pm Thursday 12th October. Please ensure collections of packs are within these times. You can collect a pack for another person, please have participants name and phone number to confirm. 2. Where will registration(s) be held? Croí House, Moyola Lane, Newcastle Co. Galway. Please click here to see map. 3. What do I have to do on registration day? You will receive your goodie bag and sign a waiver form. 4. Are there toilets available at the start of run? Toilets will be available in the Claddagh hall and at the start point at Mutton Island. 5. Where are the water stations? Water will be available to all participants at the finish line. 6. Is there car parking available for competitors and spectators? Yes parking will be available in main Salthill car park and various areas along Salthill, this is not limited to Night Run participants arrive in plenty of time to find parking. 7. What time is warm up? Warm up will begin at 7.45pm with run starting at 8pm sharp. 8. Do I need to bring a torch? The prom will have normal street lighting and we have addtional lighting at the start/finish line. If you would like to bring a torch please do so, but it is not essential to bring one with you. If you have any reflective gear we would encrouage you to wear this. (Your Croí Galway Night Run tshirt will be highviz yellow). 9. Are children allowed to take part? We are not taking registrations from children for the Croi Night Run. If you register and wish to bring your son/daughter they would be most welcome under your supervision. It is a night run, it will be dark so please keep this in mind when bringing children. 10. Can I register at Croí House? Yes, you can register at Croí House – you can pay by cash or card at reception desk. 11. Can I drop my bag at the start line? No, there is no bag drop available. Don't forget to register for Croi Galway Night Run – October 13th @ 8pm!